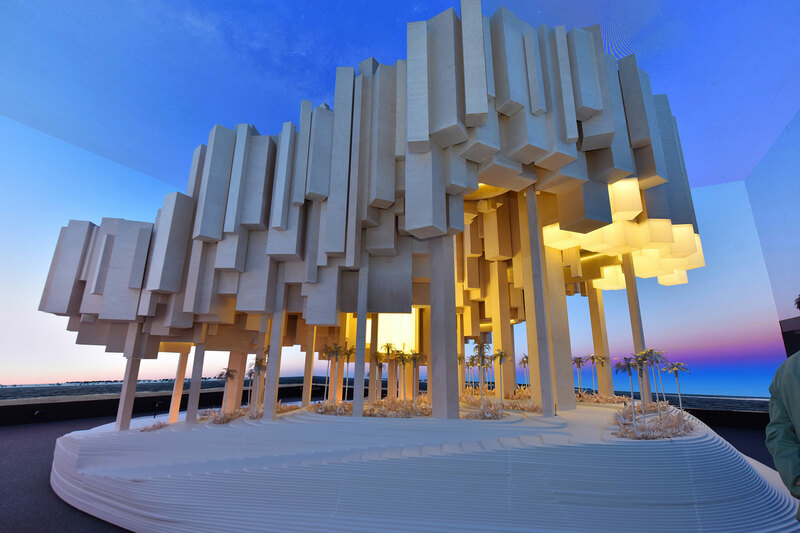 Heatherwick Studio’s concept for a new boutique hotel in Abu Dhabi for IMKAN Properties was revealed today through a 1:15 model at CityScape Abu Dhabi, the UAE capital’s largest real estate investment and development event. The concept aims to celebrate the history and culture of Abu Dhabi, the UAE, and the wider Emirates through forms largely inspired by the urban language of Islamic cities; clustered settlements, medinas, alleys organised in an organic and porous way, as well as intricate courtyards. The model is currently on exhibit at the IMKAN stand at CityScape Abu Dhabi (9B10 and 9B20) until Friday 19 April 2018.